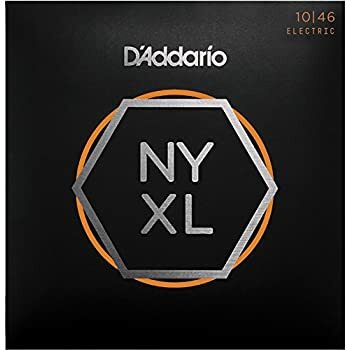 Amazon's Choice for "daddario strings electric"
BESTSELLING SET – Pursue your passion with D’Addario’s bestselling electric guitar set, XL Nickel Wound Electric Guitar Strings. 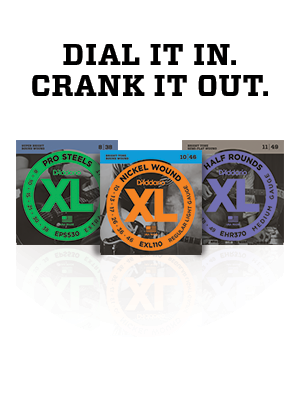 XL's deliver long lasting, distinctive bright tone and excellent intonation and the corrosion resistant packaging of the 3-pack keeps your extra string sets fresh. FOR THE ULTIMATE PERFORMANCE – D'Addario Nickel Wound strings are precisely wound with nickel-plated steel onto a hexagonally shaped, high carbon steel core for strings with bright tone, perfect intonation, stellar magnetic output, long life and reduced premature fret wear. VERSATILE – These are the ideal electric guitar strings for the widest variety of guitars and musical styles. 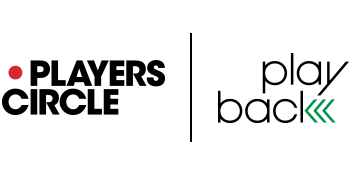 XL’s are the choice of countless professionals across many genres around the world. Get free gear, access to exclusive giveaways, and try new products before anyone else through D'Addario's Players Circle. Playback is D’Addario’s industry-wide string recycling program. Did you know that musical instrument strings are not recycled through municipal recycling programs? Recycle your strings through Players Circle using the free shipping label in your profile. XL Electric Strings are precision-wound on D’Addario’s own digitally-controlled machines, ensuring each string has excellent intonation, clear fundamentals, and unparalleled consistency. 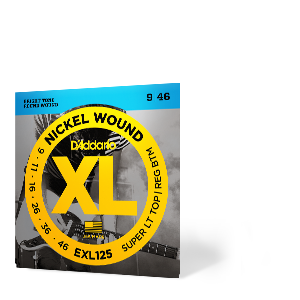 Wound with a nickel-plated steel wrap wire known for its distinctive bright tone and magnetic output, each XL string delivers a versatile sound for all playing styles. 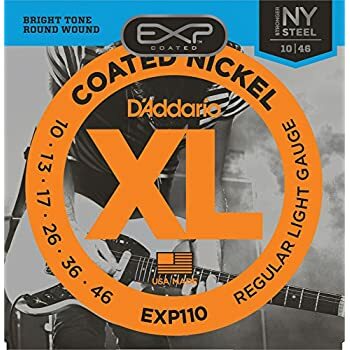 D'Addario XL ProSteels utilize an exclusive corrosion-resistant steel alloy that delivers super-bright tone without shrill overtones. They offer a palette of harmonically rich, brilliantly penetrating highs combined with pronounced, tight-and-tough lows. XL Nickel Wound, D'Addario's most popular electric guitar strings are precision wound with nickel-plated steel onto a carefully drawn, hexagonally shaped, high carbon steel core. The result—strings with long lasting, distinctive, bright tone and excellent intonation—is ideal for the widest variety of guitars and musical styles. 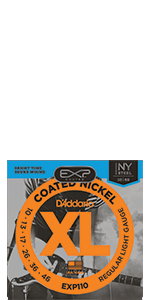 EXP coated strings feature plain steel strings and hexagonal cores made from our revolutionary NY Steel. Envisioned, perfected, and manufactured in New York, this break-resistant, high-carbon steel wire delivers unprecedented strength and pitch stability. Precision drawn and micro-coated on our advanced proprietary machinery, each EXP set maintains that familiar uncoated tone while considerably extending string life. 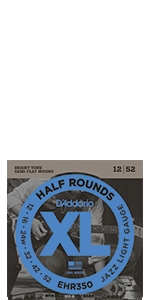 D'Addario Half Rounds are round wound with stainless steel and then precision ground, leaving the outer surface smooth and "semi-flat." The result is a string with the tone and tension characteristics of round wound strings with a smoother feel, similar to flat wound strings. 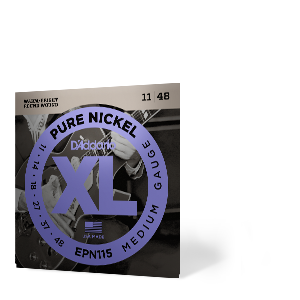 D'Addario XL Pure Nickel strings look back to the '50s when nickel was the primary alloy found in electric guitar strings. 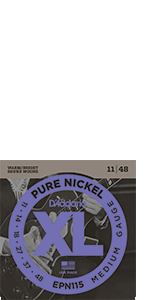 Pure Nickel brings back the richer, warmer timbres found in traditional blues, classic rock, rockabilly, and more. 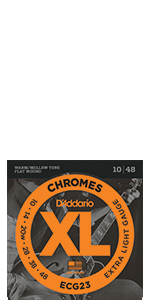 D'Addario XL Chromes are the industry standard in flat wound guitar strings. 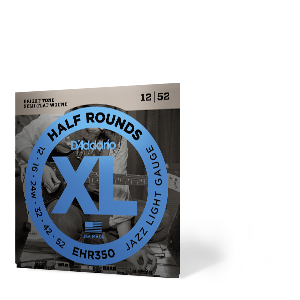 They deliver a round, full low end without losing punch, making them ideal for jazz players of all types. Wound with flattened stainless steel ribbon wire, XL Chromes are then polished to unparalleled smoothness. 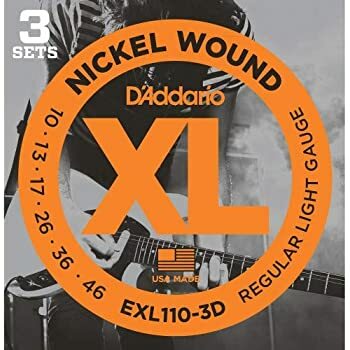 Pursue your passion with D’Addario’s bestselling electric guitar set, XL Nickel Wound Electric Guitar Strings. 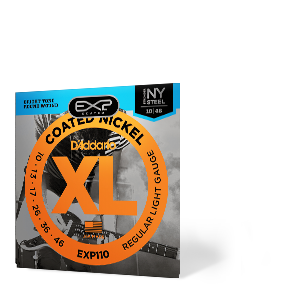 XL's deliver long lasting, legendary, distinctive bright tone and excellent intonation. 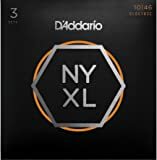 They are the ideal electric guitar strings for the widest variety of guitars, genres and playing styles, making them the choice of countless professionals around the world. 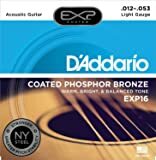 D’Addario leverages centuries of string-making experience and advanced computer-controlled winding technology to bring you the most durable, consistent and long-lasting guitar strings. 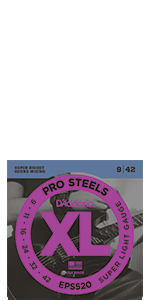 Made in the USA for the highest quality and performance, only D’Addario strings are sealed inside and out. 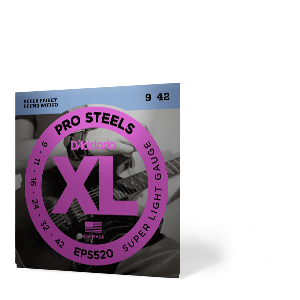 XL’s are precision wound with highly magnetic nickel-plated steel to exacting specifications onto a hexagonally shaped, high carbon steel core for strings with a tight wrap, bright tone, perfect intonation, stellar magnetic output, long life and reduced premature fret wear. 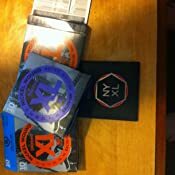 And thanks to the corrosion resistant packaging, the strings in this 3-pack are always fresh. The string gauges in this electric string set include: Plain Steel .010, .013, .017 Nickel Wound .026, .036, .046. Since 1905, D’Addario has been providing artists and players with the tools they need to perform their magic. As musicians ourselves, we have the unique ability to engineer products that inspire other musicians. The D’Addario family’s vision, creativity, passion and tradition have made us the world’s largest musical instrument string manufacturer. We put our family’s heart, soul and love for making music into every string and instrument accessory we create, and we never stop inspiring performance. First off, reviewing guitar strings objectively is extremely difficult. Any new set of strings will generally sound, feel, and play better than any old set of strings. Moreover, changing strings, tuning them, and breaking them in takes enough time that it is practically impossible to get an exact AB comparison across different brands in real-time. You need two otherwise identical guitars with otherwise identical wood, setup, electronics, fret age, etc, and you need to fit them both with new strings of the exact same gauge and type but different brands, in order to really assess the differences between two brands objectively. Which is close to impossible. That said, I personally own four electric guitars, and the studio I work at has about a dozen more. Over the past 15+ years as a musician, sound engineer, and stage hand, I have almost certainly played or recorded well over a hundred. So while I cannot personally swear to have done a scientific head-to-head double-blind test between every brand of strings, I can say a few things pretty categorically. And I have tried a ton of different makes of string, from Ernie Ball to GHS to La Bella to mail-order to store-brand, etc etc. 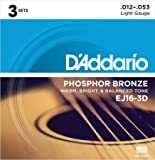 (For bass, I prefer other brands than D'Addario, but that's a seperate review). 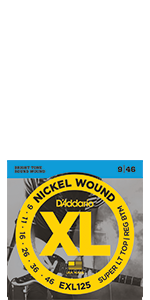 Sound-wise and playability-wise, these D'Addario Nickel Wounds are great. 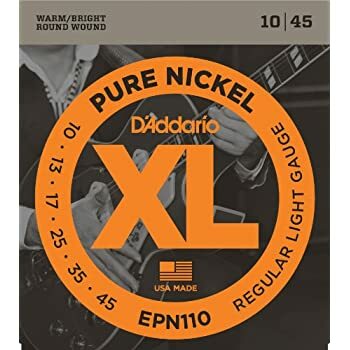 They have a high-quality, "as-expected" sound for a new guitar string, straight down the middle of how a roundwound nickel string should sound. 1. Metal fatigue. Over time, bending and vibrating a piece of metal causes it to become more brittle and to develop microscopic cracks. Tension, stretching, and deformation exacerbate this condition, which is why even coated strings that are never played become dull and dead-sounding after a couple months of sitting on a guitar, compared to an identical set sitting in its package. This wears out strings faster if you play them, but also even if you just leave them sitting on your guitar. 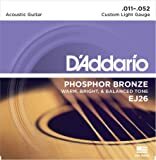 In my experience, D'Addario strings are among the best, if not the best, in terms of mainstream commercial guitar strings when it comes to staying supple, soft, and flexible. 2. Surface oxidization/corrosion. This is where coatings can help. Exposure to air, moisture, skin oils, perspiration, etc has a corroding effect on metal strings. Those black, coppery-smelling stripes that you get on your fretting hand are the product of some kind of chemical breakdown in the alloy your strings are made from, releasing certain minerals from the metal onto your fingers. 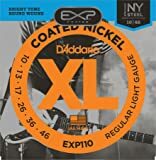 These effects are often over-stated in the marketing materials of coated-strings: they are real, but they are not usually anywhere close to the first thing that kills a set of strings. 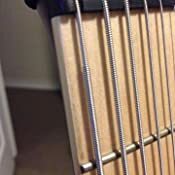 The conspicuousness of the symptom (black, dull-looking old strings) is often confused with the effects of metal fatigue, and people sometimes think that if they can keep their strings shiny, they will sound and play like new. Not so. Coatings only help the specific problem of surface corrosion, which can be a real one, but is a minor one for most players who keep their guitars in conditioned spaces and who play with clean hands. After a couple weeks of being installed at tension, even coated strings start to succumb to metal fatigue, and need to be changed even if they have never been played or taken out of the case. 3. Physical deformation is the final and most unavoidable symptom. Unless your frets are made of softer metal than your strings (and we should hope that they are not), then playing your guitar inevitably creates "flat spots" on the strings, where they contact the frets. Probably similar at the bridge and nut. These become physical deformities in the string's resonant characteristics, as well as exacerbating metal fatigue and compromising surface integrity at those points, affecting both of the above. 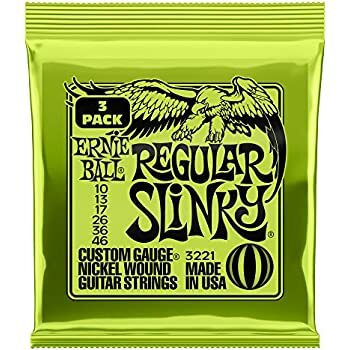 Taking all of the above into consideration, and assuming that you want soft, supple nickel strings that won't chew up your frets, I think these are your best overall choice. My one exception might be if you have serious problems related to surface corrosion, due to bodily PH imbalances or outdoor gigs, etc, in which case you might benefit from coated strings. But for most players, the strings are going to wear out from metal fatigue long before corrosion has a real effect on the sound or playability. 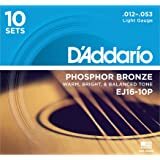 5.0 out of 5 starsGood Strings At A Good Value! 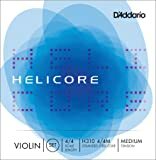 I am a gigging musician and have been using these strings for years. They are relatively inexpensive, have a pleasing tone (to my ears) and they last a long time without eventually getting a "dead sound." Once installed, I find that these strings stay in tune nicely. 5.0 out of 5 starsGreat for Heavy Handed Players! 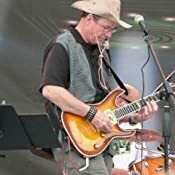 I regularly play acoustic and electric guitar and so my playing technique is very "heavy handed", which is somewhat necessary for playing an acoustic guitar if you really want good intonation and presence. Unfortunately, electric guitars require more finesse and dexterity if you want to get the most of your vibrato or bends, which is why 0.9 to 0.11 gauge string sets are the de facto preference for every player. Back in the 50s and early 60s, guitar strings didn't come in the lighter gauges that we have them today. 0.12 and 0.13 sets were commonplace. Electric guitar strings were more or less lighter-gauged acoustic guitar strings. This is how the Beatles were able to get those thick clean tones, and how Stevie Ray Vaughan (who also used 13s on his Strat) came to create his legendary tone as well. "Heavier is better" is just a myth though. Dozens of guitar heroes use standard gauge strings, sometimes as light as 0.8. It really just depends on your playing style and the amount of physical response you want from your strings. In this case "heavier is better..." IF you have a strong picking technique and hard attack. These days I have been playing a lot of heavy metal and I needed strings that wouldn't flap around when playing those tight galloping rhythms and alternate picking runs. I decided to try out this "Baritone" guitar set on my Les Paul, and I've been really impressed with the thickness of the tone. You don't necessarily need a Strat-scaled guitar or anything longer to rock these strings, so long as you adjust your bridge accordingly. Another benefit of using .13s is that the G-string is WOUND, which means more tension and less tuner slippage while playing. Every guitarist knows what I'm talking about when I say how frustrating it is when the G-string slides out of tune more so than any other string. On this set, the G-string is a wound 0.26, so literally twice the thickness of the high e-string. While this doesn't make it totally immune to tuning slippage, it'll get you really close. The last benefit of using .13s is that it is like resistance weight training in every respect. After playing a couple months on .13s, if you go back to .9s or .10s you'll feel like you can fly across the fretboard with ease. I spent years trying out different guitar strings from different manufacturers and time after time I kept coming back to these. They stay in tune well, they stay fresh for a long time, they sound well in every guitar I've put them in, and they're competitively priced. 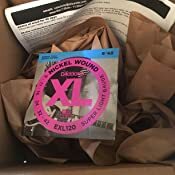 I've played better sounding strings (that cost more), and I've played more comfortable strings (that cost *MUCH* more), but these fulfill all of the basic requirements I have for a guitar string, and I buy them bulk to put on all the guitars I set up and have not received a single complaint. Even from people who are used to playing 11s with a wrapped G. It's my personal opinion that 9s are only useful in situations where you don't want to bother setting up the action and intonation, and in every situation I've personally encountered, a guitar set up properly with good fret dressing, good action, and proper pickup height sounds best with 10s on it. In comparison to boutique options like coated strings I think overall DR still wins in my book, but a quick spray of Fingerease on these does ALMOST just as well as long as you're willing to keep it up regularly. And they stay in tune, properly intoned, and bright sounding for MUCH longer than Elixir strings at half the price. 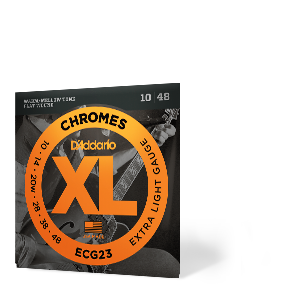 I'm also a fan of the flat- and semi-flatwound strings that D'Addario makes for excessively bright guitars.